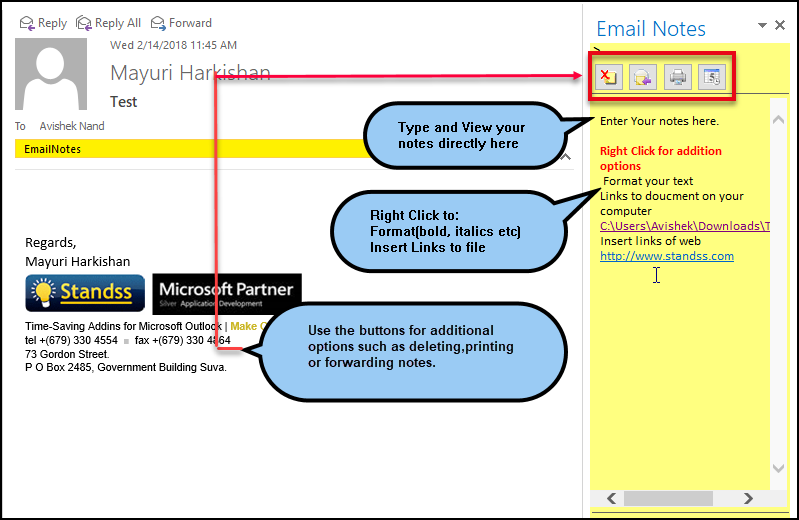 Start Outlook and you will see Notes Pane directly beside your emails where you can enter your notes. 2. Share your notes (Forward, Reply, Reply-All) with others. EmailNotes can also show you which of the emails in your Inbox (or any other folder) have notes attached to them. Click Order EmailNotes Add on for Outlook to purchase a licensed copy. This way, you can try EmailNotes without risking a cent of your money.